In an oil cooled engine, the engine oil is cooled by an oil cooler separately. This engine is basically an air cooled engine with external oil cooler. However, some manufacturers term it as an oil-cooled engine to differentiate between the two. The engine oil is taken out of the engine thru’ an oil tube which is connected to the oil cooler outside the engine. 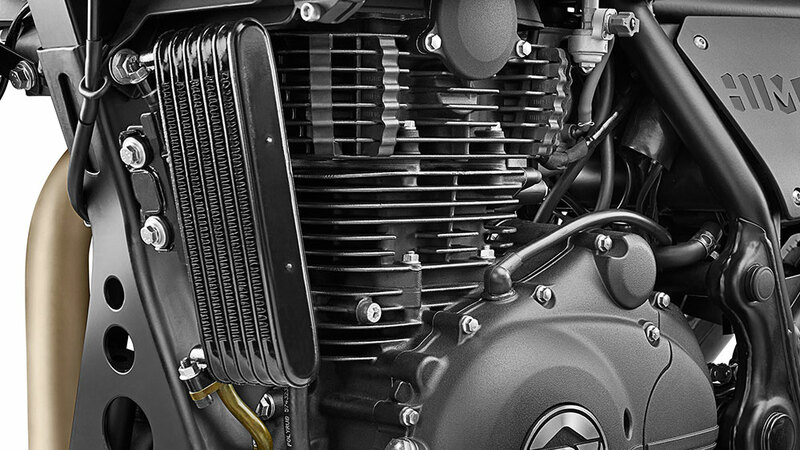 The oil cooler contains capillary tubes surrounded by metal fins similar to a radiator. These fins provide a larger contact area for better heat dissipation. As the hot engine oil passes thru’ the capillary tubes of oil cooler, it loses its heat to the air passing thru’ the fins of the oil cooler. The flow of air is achieved due to the forward motion of the vehicle. As the oil loses heat, it becomes cooler and also retains its viscosity. This engine helps to improve engine performance. It has longer service intervals and reduced wear and tear of engine components. 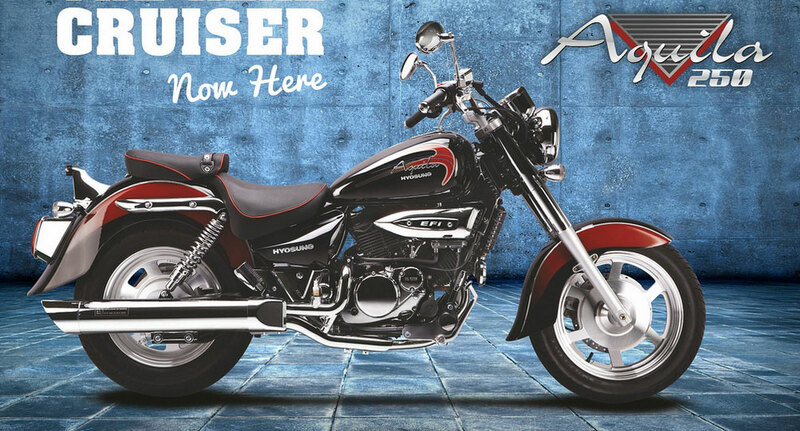 It is typically used in entry-level performance bikes such as sports bikes, cruisers, adventure tourers. This engine tends to have lower lube oil consumption due to the effective cooling of oil outside the engine. 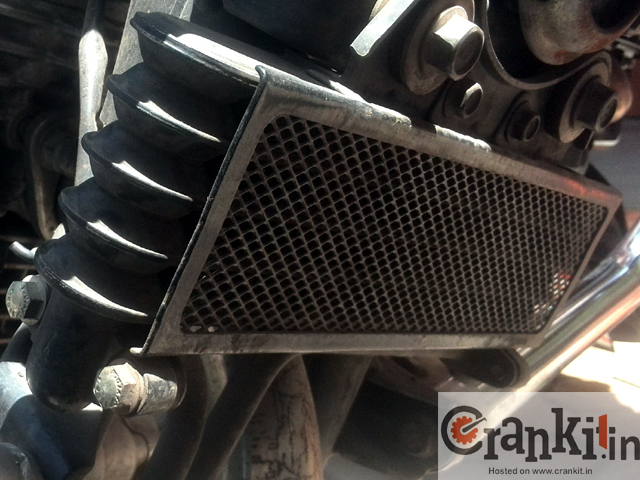 The surface area of the oil cooler in contact with the air. Heat conductivity of the metal of oil cooler. The oil cooler is usually fitted outside the engine and in the front of the vehicle so as to enable the better flow of air. Fins are also provided on the oil cooler which increases the effective surface area of the metal coming in contact with air. More the surface area in contact with cool air, it dissipated more heat. Similarly, higher rate of air-flow also dissipates more heat. Simple design, Less number of parts. Easy to manufacture and cheaper than liquid cooled engines. Light weight as compared to liquid cooled engines. Lower maintenance compared to liquid cooled engines. Hyosung Aquila 250 and GT 250R both have an oil-cooled engine. Not suitable for multi-cylinder engines without a fan. Engine efficiency gets affected because of variation in speed. Limited use such as in bikes.